When you stand outside while the church service is in action, you will assume that Victory Ministries Church International (VMCI) is a typical church. Its only when you walk in that your eyes are greeted with an unfamiliar sight, as the majority of congregates are from the gay and lesbian community. Magesh, the First Lady of VMCI (pastor’s wife) helping a member of the church as she is overcome by the holy spirit. 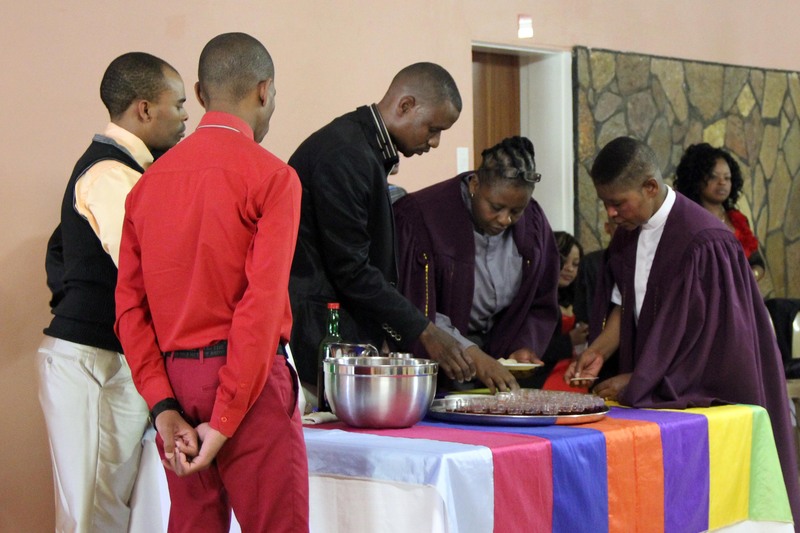 The church is based in Diakonia (Durban), has about 200 members and is led by Pastor Zungu who identifies as a black lesbian. It is refreshing to be in a religious setup, especially Christianity and not have to worry about homophobic utterances or people staring at you like you are invading their space. The church is divided into two groups Intsika who are the masculine members and iDwala the feminine members. “we are all God’s children and he loves us all”. The church was established in 2005 and faced pressures from heterosexual churches and the community. 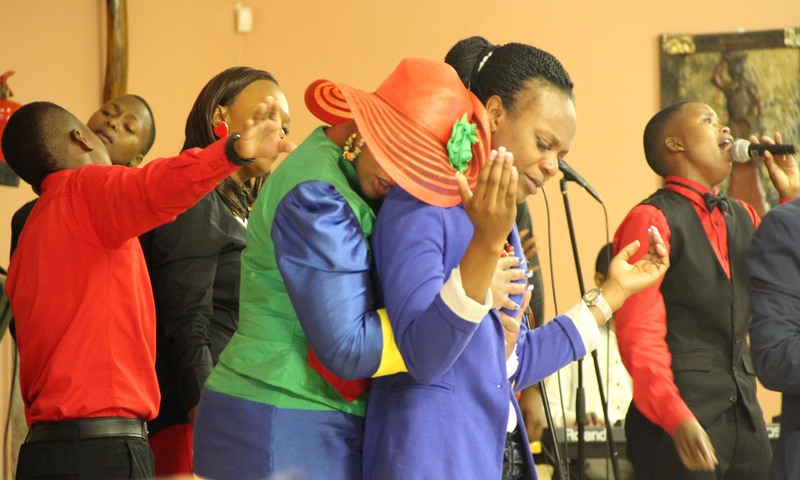 They got through that before having internal squabbles which resulted in bab’ Zungu as she is affectionately known quitting and reviving the church again in 2009. Growing from strength to strength Pastor Zungu says one of the biggest challenges was killing the notion that VMCI is a gay church. “We are a church of God, some members when they start coming to church don’t think they are worthy of being born again christians and having a relationship with God”adds Zungu. An elderly couple in the church known as Gogo and Mkhulu (Grandma & Grandpa) say their spiritual level has been increased since joining the church. One of their daily activities is reading the bible together, Gogo says even when she and Mkhulu quarrel they are forced to reconcile because they can’t read the bible while angry with each other. Gogo who supports the church’s stance on no alcohol and drugs believes the church has helped her to be accepting of different sexualities. 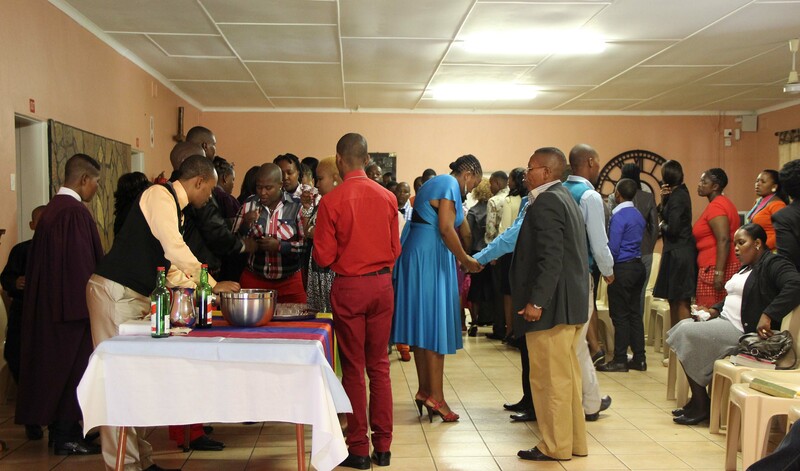 Pastor Zungu had encouraging words for homosexuals who don’t feel comfortable going to church. she said: “God makes no mistake in creating us; he loves us all, just go to church and find God” concludes Pastor Zungu. This entry was posted in Activism, Black Lesbians, Community, Community Mobilizing, Connections, Contributors, Creating awareness, Expression, Institution, Networking, Photos by Nqobile Zungu, Records and histories, Spirtitual activism, Visual history and tagged VMCI; Church; Love of God; Christianity; Bible; Homosexuality; Intsika; iDwala; Diakonia; Durban; Pastor Zenzi Zungu; Sthombe; South Africa; Men; Women; Gays & Lesbians; Black. Bookmark the permalink.